With all the necessary safety-related discussions, the current Max 8 discussion demonstrates that airlines and customers don’t speak the same language. This is also true when it comes to the loyalty question – and prevents actually many airlines to leverage the loyalty potential better. There is no doubt that the industry is in need to resolve quickly any safety-related issues and understand the reasons for any malfunctioning. As always with such tragedies, lives can’t be brought back, but lessons need to be learned to avoid similar future scenarios. And there is no doubt either that the Max 8/9/10 will be a great plane and play a critical role for airlines around the world. We are at the beginning of a discussion, which will last a few weeks or months, but will also disappear from the public awareness radar again afterwards. With boundaries between industry-internal discussions and publicly available information disappearing, there is, however, a real issue that the general travelling public becomes aware of things they do not really understand. And obviously, they take the wrong conclusions based on the pieces of information they may understand, such as that all Boeing aircraft are unsafe. 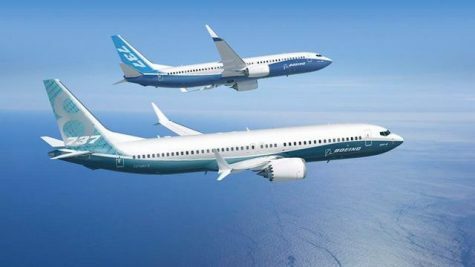 And honestly, I don’t want to know how many flight crews on a Boeing 737NG are confronted these days with the question whether this is a 737 Max. Even many seasoned travellers are probably hardly able to tell the difference, especially as the redesigned Max cabin interior or the characteristic Split Scimitar Winglets are now also available on the latest NG models. Many travellers might even be worried to step on an Airbus 380 going forward as they heard that the production would stop – and conclude whatever safety-related issues from that. This points to an underlying issue that the industry is captured in its own world and vocabulary, what causes real concerns when average people are confronted with that. Depending on the market, 50 to 80% of the unique customers of an airline don’t take a plane more than once a year – so they are actually the majority of customers with a corresponding footprint on social media etc. This lack of common language is also a prevailing issue in the loyalty program departments. Although more and more influenced by managers with a financial or marketing background, virtually all programs fail to speak a common language with customers. If you need to start your program’s terms and conditions with a 2-pager about terms, something is wrong from the very beginning. Loyalty professionals tend to forget the reality of their members: In average, they don’t have the slightest clue about distance flown, booking classes or alliances/shareholders – and even less so about any related abbreviations and acronyms. When the first airlines moved to a revenue basis, one argument was to address some of these issues. But only to introduce even bigger mysteries to the normal traveller in form of ticket numbers, airline-imposed surcharges and earning “miles” per currency unit (not to talk about the need to know all currencies of this world!) – and, of course, earning miles as multiplicator of RBDs and TPM flown on partner airlines. And it is down to the most human behaviour that if you don’t understand too much about a subject, you either invest a lot of energy to understand it (meaning you need some kind of strong motivation to do so) or you just assume things on the basis of your limited knowledge – and unless you are really involved and do understand the benefits of these schemes, the second scenario is unfortunately the more likely one. As if you don’t have the required aeronautical knowledge, you may be inclined to conclude that all Boeing aircraft are unsafe. The question is how much loyalty is really lost due to that. By looking at penetration rates of airline loyalty programs among unique customers around the world, the assumption is that this must be quite considerable. There is no reason that penetration rates can’t be close to 100% – under the dual condition that the programs are designed properly (i.e. aligned to the needs of the specific customer groups of each airline) and communicates properly. A lot of energy at programs around the world is focused on the first aspect (which is certainly important), but the second aspect actually often represents some potential quick wins and low-hanging fruits. I regularly hear from loyalty managers that they have the desire to simplify their programs. So far, not too many have really managed to do so. One of the reasons might simply be the lack of common language with members: Even if they manage to actually simplify things, customers hardly perceive it like that as things are explained in too technical terms. Just imagine for one second that your members might be stu..d and adopt your language accordingly – you might be surprised by the results! And if you are one of the unlucky operators of the Max, please stop sending messages to your loyalty members providing them with all insights into the background information (or even try to differentiate from Ethiopian Airlines as I’ve noticed in some of these messages – they are one of the best managed and skilled airlines in the world!). I am not sure what exactly the impact of this is, but it does anything else than to create loyalty or inspire confidence. Your member just wants to get safely, quickly, comfortably and cheap from A to B and be rewarded for that. Just make him understand easily how you will reward him. Full stop.